Welcome to Villa Cortine Palace Hotel Sirmione. Located in a secluded area 5 minutes' walk from Sirmione's historic centre, Villa Cortine has beautiful gardens where you will find a pool, a tennis court and a private pier. 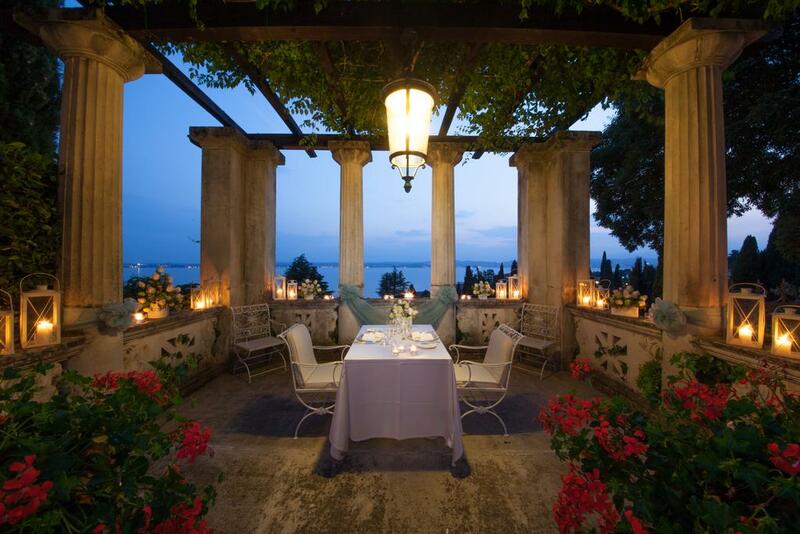 Close to Catullus's Villa at the tip of the Sirmione peninsula, at Villa Cortine Palace you will be able to enjoy the same views across Lake Garda as Roman nobles once did. Villa Cortine's 4 hectares of gardens have fountains and statues. You can sunbathe on the hotel's pier or swim in the lake. You can also order drinks and meals directly by the pool and in summer barbecues are organised on the beach. Interiors at Villa Cortine Palace Hotel are charming, with marble décor and frescoed walls. Rooms come with LCD satellite TV, air conditioning and minibars. Old City is a great choice for travellers interested in health spas, romanceand ambience. This is our guests' favourite part of Sirmione, according to independent reviews. (Villa Cortine Palace Hotel Sirmione hotels).